New Online Patrol Officer Down (POD™) Survival Course Nearing Completion Date! I hope you got a chance to read the blog posted by Chris July 12, 2012 titled “Kits of Convenience” because it has an excellent description of the SAS™ Kit. If you haven’t read it yet, check it out here. 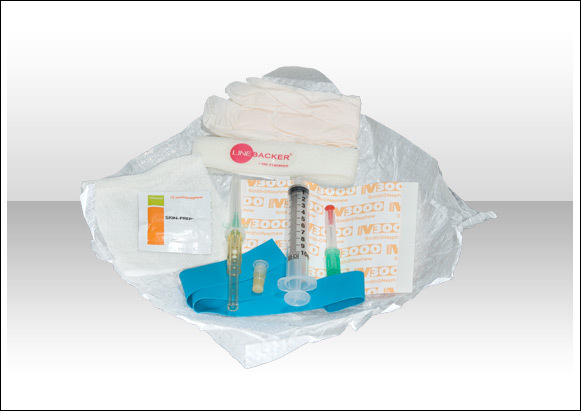 In the blog, Chris describes the many advantages to having Health Canada Licensed sterile prepackaged kits. When the time comes to perform a procedure you won’t have to search for components or remember the checklist of items you need for the procedure. The Tactical Vascular Access Kit, or TVAK™ (pictured below), is another example of a Kit of Convenience that sets you up for success and is available from CTOMS™ in either 18 gauge or 22 gauge. A video of the TVAK™ in use is shown below as well as a trick-of-the-trade in setting up the administration set and uncapping the Luer-Lok. Medicine never stops evolving and neither do you. Contact CTOMS™ for training and products and don’t just take our word for it, try one of our kits of convenience for yourself.